Frugal & Fabulous: Free Complete @ CVS this Week! 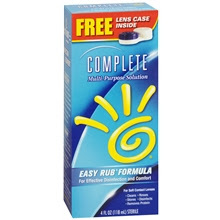 Free Complete @ CVS this Week! Stop by CVS this week to get your free Complete Contact Solution - $8.99, but free after Extra Care Bucks (Receive $8.99 ECB back)!